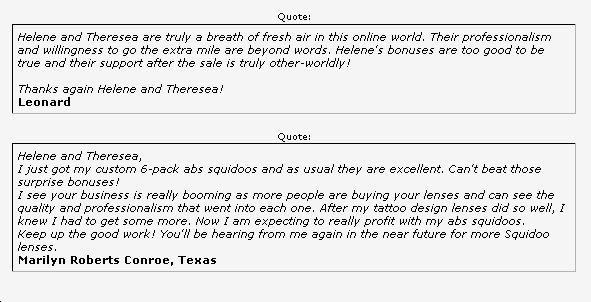 These are the customer testimonials and reviews of the products created and released by Helene Malmsio of Strategic Services. We sell only top quality e-books and e-products. Over time as we build our customer testimonials we will be loading more of their letters and customer reviews on this page. We first started operating as an incorporated company in February1987, and needless to say, only a business devoted to highest quality customer service and Total Quality Management flourishes for so many years. "Thank you Helene, and congratulations on putting together a wonderful reference site which will help everyone in all aspects of their life, no matter where they find themselves right now." - David Exon, Australia. We invite you to tell us about you shopping experience with us on the submission form below! Did I mention that I completely guarantee that you'll be delighted with the books and PLR products that I have published for sale on this site? 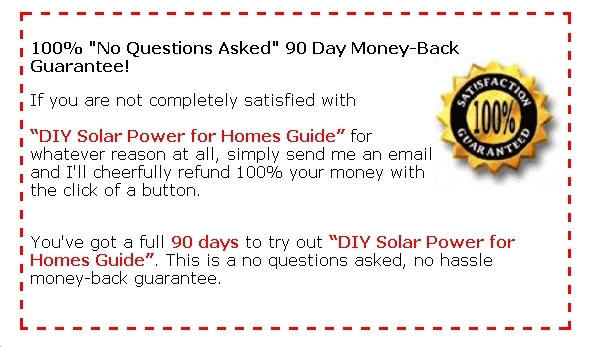 It's completely risk-free to order, because I'm offering you a 100% satisfaction guarantee. "I have searched high and low for graphics that don't come with super-limited rights. All the images I found before cost $100+ per image, which was WAY out of my price range. Thank goodness I stumbled on this mega $17 graphics pack! I had some questions about the image rights before buying, and Helene got back to me really quickly so I knew what I was buying - and let me say the rights are well worth the money. So far I have only downloaded a fraction of what's there, but I've already been able to put the images to use in products that will make me money. The images are very diverse, and perfect for blogs, eBooks and other projects (thanks to the great license terms) - and, very usefully, they are broken down into different packages so you don't need to download a huge file in one go. Personally, I think the price is a no-brainer as this is more like an investment that should pay off many, many times over." "I purchased the mega pack of images and I'm amazed at how many images were included. I've bought several image packs over the last couple of months and this has been my favorite so far. I have used many of the images already, and know I will use many of these in the future on my blogs. I'd recommend this pack to anyone who has a blog because of the variety of images. 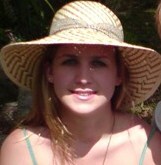 There are many Christmas images I know I will be using in the near future, and I love the people images." A couple of years ago I began creating and packaging PLR article packs in a few product niches. 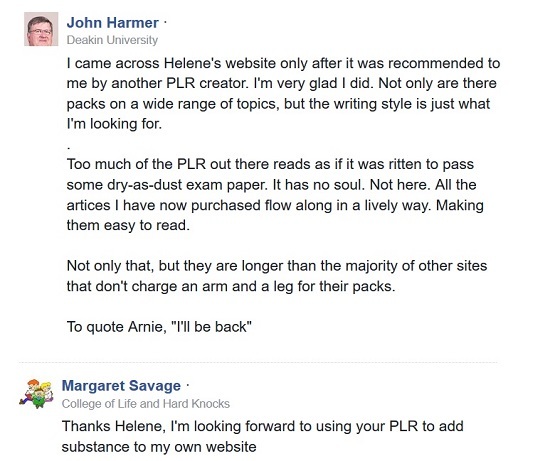 These initial packs of PLR content were created as 1,000 word product reviews, and included call to action graphics, and also had some spin syntax articles included to help buyers create their own unique versions of these product reviews. 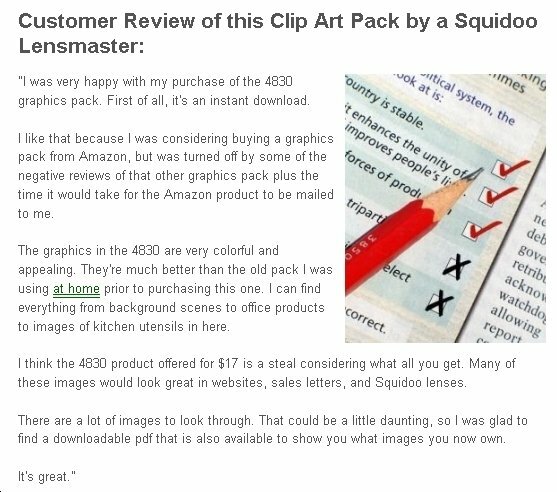 Since then I have not been selling packs until just now I plan to begin creating new PLR content in many niche subjects, not just product reviews. 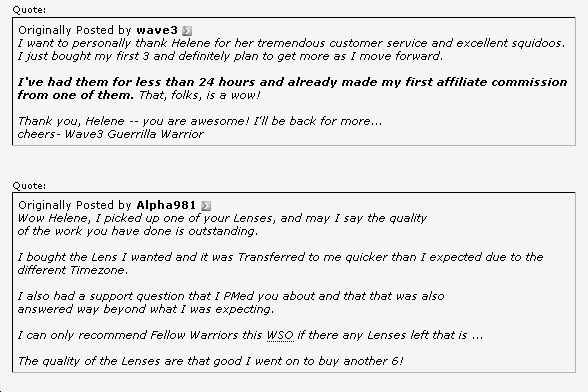 They will be exclusive to this site, apart from the occasional WSO sale. As a bonus each exclusive article pack will also have a set of graphics and a keyword list included - fantastic value! See what is available in my PLR article packs store now. 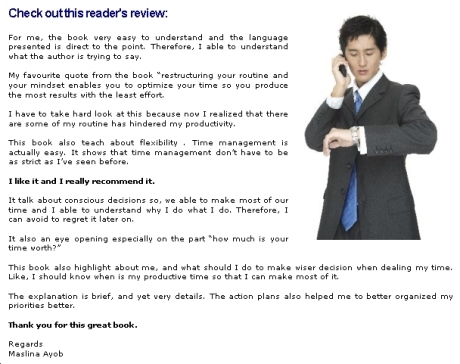 I have not asked customers for reviews yet, so there are only a few that have been given to me as a book review, or simply a customer review. As I have begun offering books for sale on Amazon, those books will have customer reviews on their amazon pages. "I am an experienced snake owner of around 6 years. I have 6 species, and multiple specimens of each species, but have kept MANY more. Don't be like me and go the whole thing without a good book to go by. 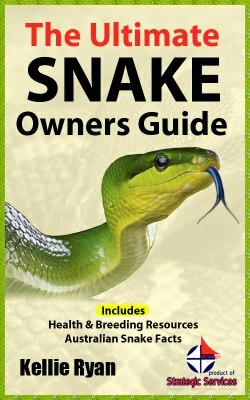 This book is very informative, and can be helpful even to an experienced keeper. -Jon Short, Tulsa, Oklahoma - USA. This book is now available on Amazon - click book cover to learn more. I'll be adding more here over time, as I publish more books for sale on this site. The thousands of images in this pack are absolutely incredible value! 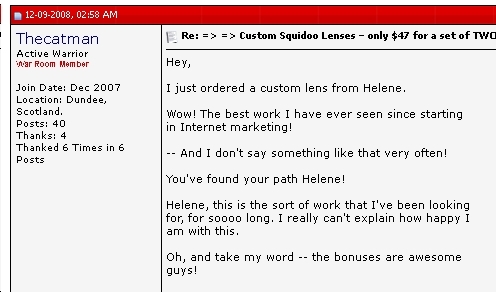 For a couple of years Theresea and I worked nearly full time together to create nearly 1,000 squidoo lenses that were sold on to internet marketers. Since 2003 my priority has been developing a portfolio of websites using Site Build It, both for pleasure and profit. Sharing with others what I learn and the skills I develop is a high priority for me, and I find that creating valuable websites that provide free information and training tools for the community is a wonderful creative process. This new enterprise has provided the opportunity to meet so many more people all over the world, and create joint venture business as well as simply “helping each other out” with information and web building tips. Anyone wanting to join my team of successful Site Build It website creators, can do so by getting their own site here, and letting me know the details, and I will be happy to spend time and expertise to help grow even more successful internet business entrepreneurs. Web building is exciting, fun, stimulating and challenging for anyone and very profitable for any business entrepreneur. I suggest that you check out the benefits of building your next website with SiteSell SBI hosting! What do my clients think of Site Build It and the support I provide them with? I would like to express how pleased I am with the Site Build It system. Computers were not around when I was young, and I still find them quite daunting... but I really wanted my own site to help promote my business. However, I decided that I would never know unless I tried, and the worst thing that could happen is that I would help make someone else rich at my expense... again!... 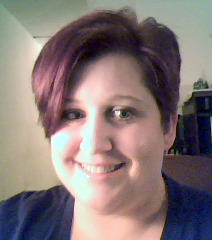 so I bit the bullet. Well what a fantastic, unexpected surprise!... WITH the program came Helene! I cannot believe the help and support she has given me. That level of personal help alone would normally cost thousands of dollars, and yet nothing has ever seemed to have been too much effort for her. I can honestly say she has put more into developing my site than I have, and I love the result. Hello my name is Theresea Hughes, I have been involved with Site Build It for a little over Twelve months, I have found SBI very helpful, and informative keeping me up to date with my sites, with positive information and help at hand. I have totally enjoyed being involved in such a new and learning experience. SBI are there to help and guide you along the way. As this was my very first time being involved with building a web site, I really had my doubts. And without the committed support from Helene Malmsio it would have never been possible to build the sites in the way I now have. Helene offers unlimited support, helping me many times with any concerns about my web sites, with Email replies and phone calls. It has been a very enjoyable experience for me, and I am so amazed I got this far. 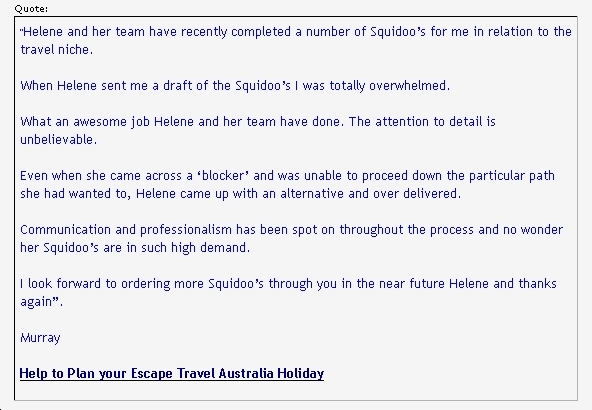 Helene, I thank you for all you have helped me achieved, not to mention your on-going patience and support. You are too awesome. I'm reading your suggestions and following through on them. If only there were more hours in a day; I have a to-do list for the site that grows faster than I can cross things off. One thing that's helping me is that I'm really starting to limit who I listen to for advice. SBI continues to exceed my expectations and my daily hits keep growing. Bottom line - SBI is fantastic and you are absolutely wonderful, smart, giving, dedicated, honest and thorough. Thanks again. Thank you so much for your help and support when I built my new site: In less than one week I was up and running thanks to your tips and material delivered! Being a software engineer for 30+ years, SBI! 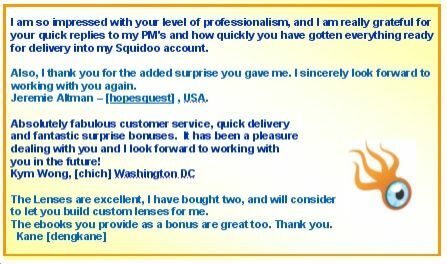 is my natural choice when developing my websites: Thanks again! WOW, what a lot of stuff! I'm certain there's a bunch of it, if not most that'll I find useful. It's certainly nice to meet someone who is so giving. Thanks again. It's nice to "meet" someone so willing to help. Thank you so much for all the goodies! You have given me hope that I can do this stuff. How long have you been working on your site? It’s got great content from lots of good people. Hope I can do half as well as you have! They do look extremely useful just from the titles! Site Build It has everything needed in a website, research tools, newsletters, auto-responder mail, web email, brainstorming tools, web hosting AND most importantly of all, you just copy and paste your documents into the page boxes to build your own profitable website! NO WEBMASTER SKILLS NEEDED – EVER! If you have some feedback about my products or services, or would like to leave your own customer review here, please use the form below - Thanks! I welcome your feedback, and always listen to customer suggestions, so feel free to post your customer review on the site here! Do you have a book review, writing or publishing tip you want to contribute here? Share it! 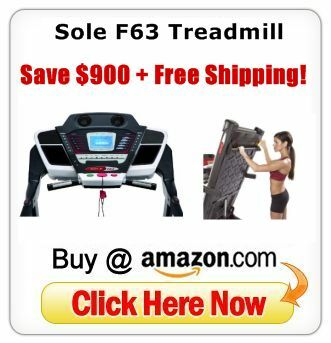 Please feel free to share your own customer testimonials in the submission box above - Thanks!